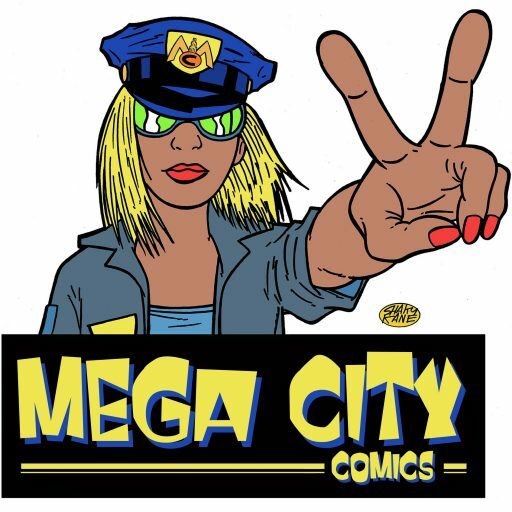 Mega City Comics, was established in 1981, initially as a mail-order business, supplying comics, graphic novels, and collecting supplies. After 6 years of mail-order and trading through the comic marts, we opened our shop in Camden Town in 1987. Our aim was, and still is, to provide one of the most comprehensive ranges of comics and graphic novels in the UK, backed up with helpful, knowledgeable and friendly service. Over the years, we have hosted signings and events with such luminaries as Alan Moore, Jamie Hewlett, Pat Mills, Simon Bisley, Gilbert Shelton & Matt Wagner. In 2016 we were proud to be awarded a KING OF CAMDEN award, for excellence in local retailing. Martin Kravetz founder of Mega City Comics, whilst still at University, has been at the forefront of its day-to-day operations ever since. The business now employs a dedicated team of 5, who help to maintain an extremely high level of customer service, whilst offering friendly, helpful and knowledgeable advice to both hardened readers and collectors, and those new to the field.